This week's charts, with data taken from March 31st, 2011, find Super Street Fighter IV 3D Edition and Pilotwings Resort heading 3DS sales in the United States and the UK, while Dragon Quest Monsters Joker 2: Professional tops the multiplatform charts in Japan. North America: 1. Just Dance 2 (Ubisoft, Wii), 2. Super Street Fighter IV: 3D Edition (Capcom, 3DS), 3. Tiger Woods PGA Tour 12: The Masters (EA Sports, X360), 4. Tiger Woods PGA Tour 12: The Masters (EA Sports, PS3), 5. Pokemon White Version (Nintendo, DS). Japan: 1. Dragon Quest Monsters Joker 2: Professional (Square Enix, DS), 2. Final Fantasy IV Complete Collection (Square Enix, PSP), 3. Shin Sangoku Musou 6 (Koei, PS3), 4. Ebikore + Amagami (Kadokawa Games, PSP), 5. Monster Hunter Portable 3rd (Capcom, PSP). UK: 1. Pokemon White Version (Nintendo, DS), 2. Lego Star Wars III: The Clone Wars (LucasArts, Wii), 3. Just Dance 2 (Ubisoft, Wii), 4. Pokemon Black Version (Nintendo, DS), 5. Wii Fit Plus with Balance Board (Nintendo, Wii). Just Dance 2 reclaims the top spot in the North American multiplatform sales charts this week, trailed closely by Capcom's debuting Super Street Fighter IV: 3D Edition for the Nintendo 3DS. Tiger Woods PGA Tour 12 also sees fast sales in its debut week stateside, while an expanded version of Dragon Quest Monsters Joker 2 overtakes Final Fantasy IV Complete Collection for top honors in Japan. Japan: 1. Pro Yakyuu Famista 2011 (Namco Bandai), 2. The Sims 3 (EA Games), 3. Gundam: The 3D Battle (Bandai), 4. Sengoku Musou Chronicle (Koei), 5. Nintendogs + Cats: Shiba & New Friends (Nintendo). UK: 1. Pilotwings Resort (Nintendo), 2. Super Street Fighter IV: 3D Edition (Capcom), 3. Ridge Racer 3D (Namco Bandai), 4. Lego Star Wars III: The Clone Wars (LucasArts), 5. Rayman 3D (Ubisoft). Capcom's Super Street Fighter IV: 3D Edition premieres as the Nintendo 3DS's biggest-selling game in the platform's debut week in North America, while Nintendo's Pilotwings Resort and Ubisoft's Ghost Recon: Shadow Wars also emerge as top sellers. Pilotwings proves to be the most popular 3DS title in Europe, as Namco's recently released baseball sim Pro Yakyuu Famista 2011 outsells The Sims 3 in Japan. North America: 1. Just Dance 2 (Ubisoft), 2. Zumba Fitness (Majesco), 3. Tiger Woods PGA Tour 12: The Masters (EA Sports), 4. Wii Fit Plus with Balance Board (Nintendo), 5. Michael Jackson: The Experience (Ubisoft). Japan: 1. Wii Fit Plus with Balance Board (Nintendo), 2. Wii Party (Nintendo), 3. Fitness Party (Namco Bandai), 4. Donkey Kong Returns (Nintendo), 5. Karaoke Joysound Wii Super DX (Hudson). UK: 1. Lego Star Wars III: The Clone Wars (LucasArts), 2. Just Dance 2 (Ubisoft), 3. Wii Fit Plus with Balance Board (Nintendo), 4. Michael Jackson: The Experience (Ubisoft), 5. Just Dance (Ubisoft). Tiger Woods PGA Tour 12 competes with reigning chart champs Just Dance 2 and Zumba Fitness in this week's North American Wii software sales chart. Lego Star Wars III climbs up to the top of the UK charts after premiering at second place last week, while in Japan, Wii Fit Plus manages to reclaim first place. North America: 1. Tiger Woods PGA Tour 12: The Masters (EA Sports), 2. Call of Duty: Black Ops (Activision), 3. Crysis 2 (EA Games), 4. Red Dead Redemption (Rockstar), 5. Kinect Sensor with Kinect Adventures (Microsoft). Japan: 1. The [email protected] 2 (Namco Bandai), 2. Your Shape: Fitness Evolved (Ubisoft), 3. Arcania: Gothic 4 (Cyber Front), 4. Dream C Club Zero (D3 Publisher), 5. Red Dead Redemption: Undead Nightmare (Rockstar). UK: 1. Crysis 2 (EA Games), 2. FIFA 11 (EA Sports), 3. Lego Star Wars III: The Clone Wars (LucasArts), 4. Call of Duty: Black Ops (Activision), 5. Homefront (THQ). EA Sports leads stateside Xbox 360 software sales this week with Tiger Woods PGA Tour 12, while the company's former chart leader Crysis 2 drops behind Call of Duty: Black Ops to third place in today's rankings. Crysis 2 is still going strong in the UK charts, as Namco Bandai's The [email protected] 2 returns to the top of the Japanese sales rankings after previously being beaten by Arcania: Gothic 4. North America: 1. Tiger Woods PGA Tour 12: The Masters (EA Sports), 2. Red Dead Redemption (Rockstar), 3. Assassin's Creed: Brotherhood (Ubisoft), 4. Killzone 3 (SCEA), 5. Call of Duty: Black Ops (Activision). Japan: 1. Shin Sangoku Musou 6 (Koei), 2. Crysis 2 (EA Games), 3. Demon's Souls (SCEI), 4. World Soccer Winning Eleven 2011 (Konami), 5. FIFA 11 (EA Sports). UK: 1. FIFA 11 (EA Sports), 2. Call of Duty: Black Ops (Activision), 3. Lego Star Wars III: The Clone Wars (LucasArts), 4. NBA 2K11 (2K Sports), 5. Crysis 2 (EA Games). Tiger Woods PGA Tour 12 and a discounted Red Dead Redemption lead domestic PS3 platform sales, with Assassin's Creed: Brotherhood returning to the top five at third place. Koei's Dynasty Warriors sequel Shin Sangoku Musou 6 once again dominates the Japanese charts, while FIFA 11 rises to the top in Europe during a recent Amazon sale. North America: 1. Rift (Trion Worlds), 2. The Sims: Medieval (EA Games), 3. Total War: Shogun 2 (Sega), 4. Crysis 2 (EA Games), 5. StarCraft II: Wings of Liberty (Blizzard). Japan: 1. Steins;Gate (Nitro Plus), 2. Monster Hunter Frontier Online 2010 Anniversary Package (Capcom), 3. Ragnarok Online Beginner's Package 2011 (E Frontier), 4. Mahou Tsukai no Yoru (Type Moon), 5. The SIms 3 (EA Games). UK: 1. The Sims: Medieval (EA Games), 2. The Sims 3 (EA Games), 3. Football Manager 2011 (Sega), 4. The Sims 3: Late Night (EA Games), 5. Total War: Shogun 2 - Limited Edition (Sega). Trion Worlds' MMORPG Rift overtakes The Sims: Medieval to top this week's PC software sales in the United States. The Nitro Plus-published visual novel Steins;Gate remains a big hit in Japan, while The Sims: Medieval leads UK sales for the second week in a row. North America: 1. Pokemon White Version (Nintendo), 2. Pokemon Black Version (Nintendo), 3. New Super Mario Bros. (Nintendo), 4. Lego Star Wars III: The Clone Wars (LucasArts), 5. Mario Kart DS (Nintendo). Japan: 1. Dragon Quest Monsters Joker 2: Professional (Square Enix), 2. Pocket Monsters White (Nintendo), 3. Pocket Monsters Black (Nintendo), 4. Eigo de Tabisuru: Little Charo (Nintendo), 5. Ninokuni: Shikkoku no Madoushi (Level 5). UK: 1. Pokemon White Version (Nintendo), 2. Pokemon Black Version (Nintendo), 3. Art Academy (Nintendo), 4. Let's Draw! (Majesco), 5. Lego Star Wars III: The Clone Wars (LucasArts). Pokemon Black and White remain unstoppable forces in the Nintendo DS sales charts in the U.S. and the UK, while Lego Star Wars III struggles to maintain a presence in the top five in both regions. Both Pokemon games have also seen a resurgence of popularity in Japan, where Square Enix's Dragon Quest Monsters Joker 2: Professional heads overall platform sales. North America: 1. The 3rd Birthday (Square Enix), 2. Dissidia 012: Duodecim Final Fantasy (Square Enix), 3. The Legend of Heroes: Trails in the Sky - Limited Edition (Xseed), 4. Crisis Core: Final Fantasy VII (Square Enix), 5. Need for Speed: Most Wanted (EA Games). Japan: 1. Final Fantasy IV Complete Collection (Square Enix), 2. Ebikore + Amagami (Kadokawa Games), 3. Monster Hunter Portable 3rd (Capcom), 4. BlazBlue Continuum Shift II (Arc System Works), 5. Phantasy Star Portable 2 Infinity (Sega). UK: 1. Dissidia 012: Duodecim Final Fantasy (Square Enix), 2. FIFA 11 (EA Sports), 3. Lego Star Wars III: The Clone Wars (LucasArts), 4. Tactics Ogre: Let Us Cling Together (Atlus), 5. God of War: Ghost of Sparta (SCEE). 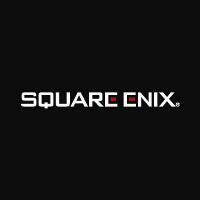 Square Enix maintains a tight grip on the PSP charts in all regions, with the Parasite Eve semi-sequel The 3rd Birthday leading platform sales in its debut week in North America and the Dissidia sequel Duodecim Final Fantasy doing brisk business in Europe. Xseed's localization of Falcom's The Legend of Heroes: Trails in the Sky earns third place in its first week of release in the United States, while Kadokawa Games' visual novel Ebikore + Amagami competes with Final Fantasy IV Complete Collection for the top spot in Japan.